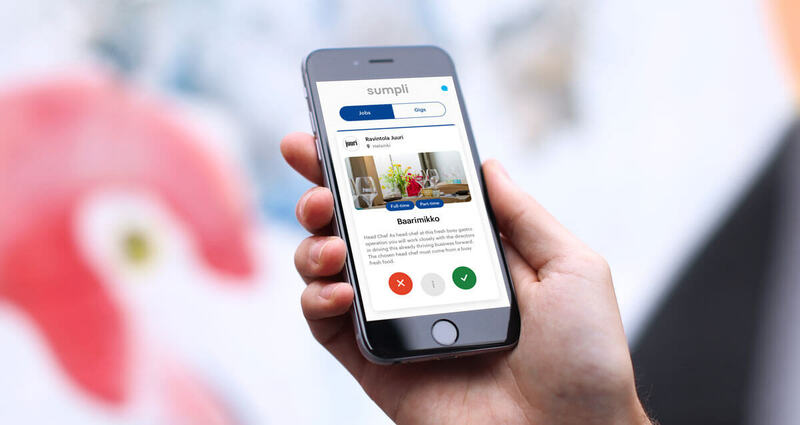 Sumpli was founded in late 2017 in Helsinki by the former Slush CTO Elias Nygren, the local restaurant and nightlife veteran Mehdi Younes and the seasoned digital designer Nikolas Holm. The friends went on to create an app that would answer the vast needs of the rapidly changing staffing & recruitment industry, one that would also serve a new generation of digitally savvy workforce. “We had talked in the summer about the need for a digital platform that enables fast matchmaking for companies looking for devs and designers, and vice versa. It soon dawned upon us that a lot of industries struggle with the same problem, so we decided to make the best tool for the need, scalable to all industries worldwide, piloting on the fast moving restaurant industry at the moment in Helsinki, Finland.” CEO and Co-Founder Elias Nygren explains.